The natural perfume lockets in both designs are returning. I've created a listing at the E-shop so those that were not able to get them before can do a pre-order. Be aware that these tend to sell out really fast. Last time they lasted about a week before they were sold out! Now is the perfect time to order this for a friend as they can choose which design they prefer, the length of chain and the solid perfume contained within. The two designs are the original tapestry floral and the Victorian diamond pattern. The perfume locket hangs on a pretty brass rolo chain and features a lobster clasp closure. 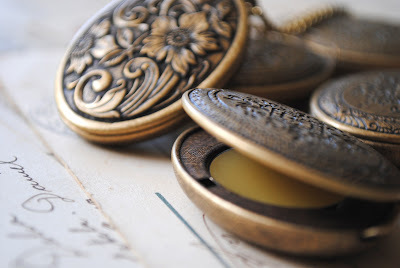 These lockets are made in the USA from vintage molds that go back to the 1940's. 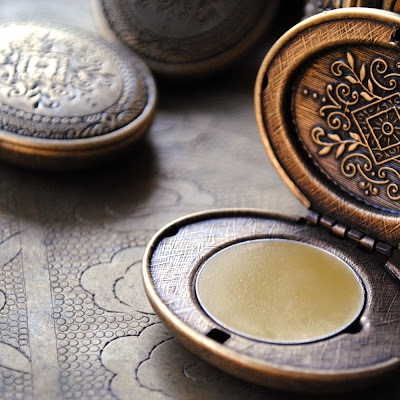 Each one has been plated with a brass ox to create an antique quality. No lead or nickel have been utilized. 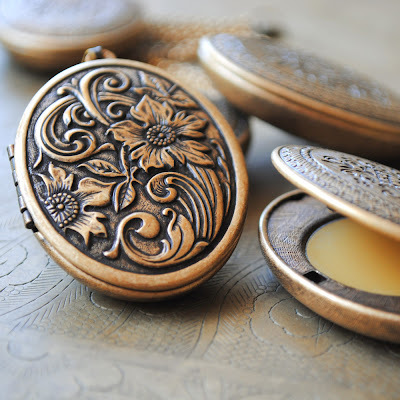 The brass is lightweight thus making the necklace comfortable to wear. 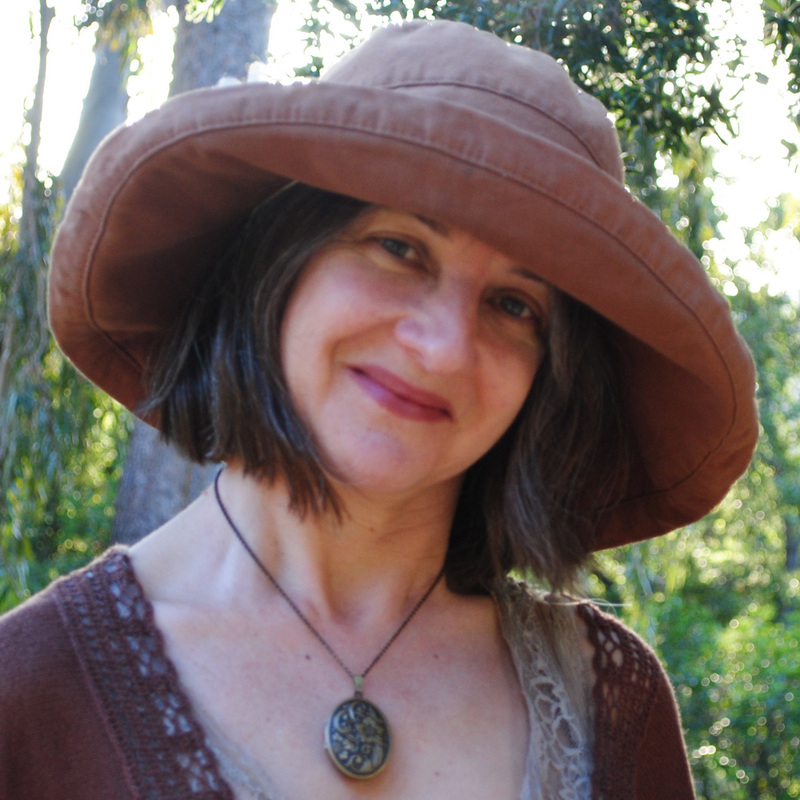 Below is a photo of me from last Spring with the tapestry floral locket containing my signature scent, Cimbalom natural perfume.